Draft: 2011, New York Mets, 21st rd. Graduated from Wiregrass Ranch (Fla.) High School ... Signed a letter of intent to play college baseball at Long Island University (N.Y.), but was selected by the Mets in the 21st round of the June, 2011 First-Year Player Draft ... His father, John, Sr., is the head girls basketball coach and science teacher at Wiregrass Ranch High School, where John has served as team scorekeeper ... Struck out over 200 batters with only three losses in his high school baseball career ... His change-up grip has been nicknamed "The Vulcan" ... Resides in Wesley Chapel, Fla. Appeared in 26 games (19 starts) over three stints with St. Louis, while establishing single-season career highs in multiple categories...Combined for a record of 12-7 with a 2.93 over 27 starts covering 163.0 innings pitched with 137 strikeouts between Memphis (AAA) and St. Louis, the largest workload of his professional career...Thirteen of his career-high 19 starts came after the AllStar Break after replacing Michael Wacha in the rotation. Was 5-6 with 3.61 ERA (39 ER/97.1 IP), 81 strikeouts (7.49 strikeouts/9 IP), and .219 opponent average against (79-360)...Pitched at least 6.0 innings on five occasions, including career-high 7.0 innings twice. All five starts were quality...Issued 57 walks in 114.0 innings pitched, T21st-most among NL pitchers and 3rd-most on St. Louis. His 4.50 walks/9 IP was the 3rd-highest rate in the NL behind Robbie Ray (5.09) and teammate Carlos Martínez (4.55) (min. 110 innings pitched)...Ranked T2nd in the NL in unearned runs allowed (10), behind Jake Arrieta (17)...Sported a .195 average (39-200) the first time through the opposition's lineup...Recorded the highest swing & miss pct. (5.5%) on changeups of any Cardinals pitcher...Six of his nine home runs allowed were hit by left-handers: Odúbel Herrera, Freddie Freeman, Pablo Sandoval, Tucker Barnhart, Ben Zobrist & Anthony Rizzo...Logged a 0.89 ERA (50.2 IP/5 ER) in Cardinals wins (11 appearances), representing the lowest ERA in the NL in winning appearances (min. 50. IP). He had a 5.54 ERA in losses (63.1 IP)...Was 2-0 with a 2.70 ERA in seven relief appearances (16.2 IP), limiting the opposition to a .194 average against (12-62). Retired his first batter faced in 6 of 7 outings...Recalled and made season debut throwing 3.0 perfect innings (11th-13th) in relief vs. NYM (4/26) earning his first win in a 4-3 Cardinals walk-off victory in 13 innings...Set single-game team highs, at the time, for relief IP (3.2) and tying for strikeouts in relief (4) vs. SD (5/13)...After 8/8, posted a 6.93 hits/9 IP, .212 opponent batting average and 2.66 ERA...Limited opposition to one earned run over a three-start stretch (17.0 IP) from 8/25-9/4...Earned his first career post-All Star Break victory with 6.0 innings of two-hit ball, allowing only one run in 7-1 win at MIA (8/8)...Matched his season and career-high with 7.0 innings in no-decision at Colorado (8/25), yielding a pinch-hit solo home run to Matt Holliday in the 7th inning...Both of his two career hits have been home runs. Was the only pitcher in MLB to hit multiple home runs in the month of August...Shared MLB lead in HR's among pitchers in 2018 (2); also NYM's Steven Matz, teammate Miles Mikolas, and CIN's Michael Lorenzen who had 4, but 2 as PH...Hit a two-run HR off Gio Gonzalez on 8/14/18 vs. WSH for his first ML hit after beginning his career 0-for-30...Joined Stephen Vogt (2013) as the only player in the "Live Ball Era" to break an 0-for-30 skid to begin career by hitting a home run. (STATS). • Was 5-1 with a 1.65 ERA (49.0 IP/ 9 ER) and 42 strikeouts in 8 starts over three stints with the Memphis Redbirds (AAA)...Was tied for the Pacific Coast League lead with four wins and ranked 7th in ERA (2.40) at the time of his second recall to St. Louis (5/7). Spent most of 2017 at Memphis (AAA); was recalled twice: 5/31-6/7 & 8/31 to end of season ... Began 2017 on the 10-day disabled list with a right groin injury suffered in Spring Training. Activated from the D.L. on 5/16 and optioned to Memphis ... Opposing left-handed batters batted .259 (7-27, 3 HR) and right-handed batters hit .270 (10-37, HR) ... Started two games (at PIT 9/24 & vs. MIL 9/29) and was 0-1 with a 5.63 ERA over 8.0 IP ... Threw 3.1 innings in his Cardinals debut (6/6) at CIN, tied for the longest outing by a Cardinals relief pitcher in 2017 (Lyons) ... Made five relief appearances...did not allow a run in first 5.0 IP after 8/31 recall ... Induced five double plays in September, ranking T2nd among National League pitchers (Clayton Richard, SD, 8) ... Made 18 starts at Memphis (AAA), posting a 6-5 record with a 3.83 ERA over 103.1 innings ... Named PCL Pitcher of the Week for the June 12-18 period, following 8.0 scoreless innings of two-hit ball vs. Colorado Springs (6/16) ... Finished season at Memphis with wins in his last five decisions over seven starts, the only PCL pitcher with a 5-0 record from 7/24-8/31 and did not allow a home run from 8/4 on ... Led Memphis and ranked T12th in the PCL with 99 strikeouts. Made the Opening Day roster in Atlanta and made three relief appearances before being optioned to Gwinnett (AAA) on April 10. Made 10 starts out of 12 appearances on the season in Gwinnett...Made his Major League debut vs. WSH (4/6) and threw a scoreless inning with a strikeout and allowed one hit...Surrendered his first MLB runs on two solo home runs in his second appearance coming vs. STL (4/8), allowing a pinch-hit solo home run to Greg Garcia and a solo home run to Stephen Piscotty one batter later...Recalled to Atlanta on 5/18 and stayed on the Major League roster until he landed on the 15-day disabled list with an injured left oblique suffered in the 3rd inning of a start vs. CLE (6/27)...Made one rehab appearance in relief at Rome (A) vs. Lexington (8/2) and threw 3.0 scoreless innings of one-hit ball with one walk and two strikeouts. Rehab was transferred to Gwinnett on 8/6...Was recalled to Atlanta on 8/21, optioned to Gwinnett on 8/27 and recalled to Atlanta on 8/30 where he finished the season...Posted a 1-3 record with a 4.80 ERA in seven MLB starts and was 0-1 with a 4.95 ERA in 13 MLB relief appearances...Pitched a season-high 6.2 innings at NYM (6/17) earning his first MLB victory. Allowed one run on two hits with five strikeouts...Struck out a season-high six batters in consecutive starts at PHI (9/3) and vs. NYM (9/10)...Was 1-0 with a 1.46 ERA in three appearances (two starts) vs. the Mets, fanning 12 in 12.1 innings...Finished the season with three scoreless appearances out of his last four outings. Ranked by Baseball America and the organization's No. 18 prospect entering the 2016 season. ... Pitched for three different teams at two levels (A and AA) after opening the season with the Mets organization and joining the Braves in a four-player trade on July 24. ... Combined to go 10-5 with a 3.08 ERA in 24 starts between Binghamton (AA), St. Lucie (A) and Mississippi (AA). Struck out 134 batters in 140.1 innings pitched, compared to 50 walks. ... Set career-highs in nearly every category including innings (140.1), strikeouts (134) and starts (24). ... Opened the season with Binghamton and made seven starts (2-3, 4.75) before being transferred to St. Lucie on 5/28. Made six starts with St. Lucie and was transferred back to Binghamton on 7/5. ... Posted a 1.79 ERA with St. Lucie and made four of six "quality starts." ... 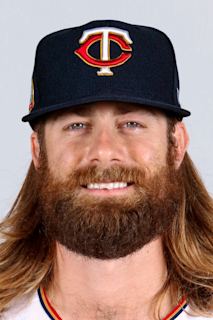 Assigned to Mississippi on 7/24 and pitched at a 1.99 ERA while going 4-0 and registering 43 strikeouts in 40.2 innings pitched over his final seven starts of the season. ... Had a 1.53 ERA in five August starts with 32 strikeouts in 29.2 IP earning Mississippi Pitcher of the Month honors. ... Tossed back-to-back scoreless outings with St. Lucie, 6/23 (7.0 innings) and 6/29 (8.0 innings). ... Recorded five outings on the season in which he did not allow a run. In three of those outings, he lasted 7.0 innings or more and all five combined totaled 33.2 innings with 35 strikeouts, while limiting hitters to just 15 hits and a .135 batting average. ... His ERA over his final 13 starts was 2.39 (21 ER/79.0) with opponents batting just .212. He averaged 8.8 strikeouts per 9.0 innings pitched in that span. ... Had two double-digit strikeout games, 6/11 at Daytona and 6/29 at Tampa. Struck out a career high 11 in just 5.2 innings pitched in his 6/11 start. ... Added to Atlanta's 40-man roster on November 19, 2015. Named a South Atlantic League All-Star...Posted a 2.56 ERA in 21 games (all starts), while going 11-5 and logging 114 strikeouts in the first half of the season...Ranked fourth in the SAL in ERA (2.56) and wins (11), was third in opponents' batting average (231) and fifth in strikeouts rate (8.3 per 9.0 innings). Went 6-4 with a 2.89 ERA in his third professional season and his first with Rookie-level Brooklyn... Selected to the New York-Penn League All-Star team...Ranked second among NYPL pitchers with 81 strikeouts. Split his second professional season between Kingsport (R) and Savannah (A) going a combined 3-4 with a 4.98 ERA...Struck out 52 batters over 59.2 innings pitched. Made four appearances, including one start, and went 0-1 with a 6.48 ERA in his first professional season. March 25, 2019 RHP John Gant assigned to Memphis Redbirds. June 21, 2018 St. Louis Cardinals recalled RHP John Gant from Memphis Redbirds. May 31, 2018 St. Louis Cardinals optioned RHP John Gant to Memphis Redbirds. May 7, 2018 St. Louis Cardinals recalled John Gant from Memphis Redbirds. April 27, 2018 St. Louis Cardinals optioned RHP John Gant to Memphis Redbirds. April 26, 2018 St. Louis Cardinals recalled John Gant from Memphis Redbirds. March 19, 2018 St. Louis Cardinals optioned RHP John Gant to Memphis Redbirds. August 31, 2017 St. Louis Cardinals recalled John Gant from Memphis Redbirds. June 7, 2017 St. Louis Cardinals optioned RHP John Gant to Memphis Redbirds. May 31, 2017 St. Louis Cardinals recalled John Gant from Memphis Redbirds. May 16, 2017 St. Louis Cardinals optioned RHP John Gant to Memphis Redbirds. March 30, 2017 St. Louis Cardinals placed RHP John Gant on the 10-day disabled list. December 1, 2016 St. Louis Cardinals traded LHP Jaime Garcia to Atlanta Braves for RHP Chris Ellis, RHP John Gant and 2B Luke Dykstra. August 30, 2016 Atlanta Braves recalled RHP John Gant from Gwinnett Braves. August 28, 2016 Atlanta Braves optioned RHP John Gant to Gwinnett Braves. August 21, 2016 John Gant roster status changed by Atlanta Braves. August 6, 2016 Atlanta Braves sent RHP John Gant on a rehab assignment to Gwinnett Braves. August 1, 2016 Atlanta Braves sent RHP John Gant on a rehab assignment to Rome Braves. June 28, 2016 Atlanta Braves placed RHP John Gant on the 15-day disabled list. Left oblique strain. June 8, 2016 Atlanta Braves recalled RHP John Gant from Gwinnett Braves. June 6, 2016 Atlanta Braves optioned RHP John Gant to Gwinnett Braves. June 4, 2016 Atlanta Braves recalled John Gant from Gwinnett Braves. May 20, 2016 Atlanta Braves optioned RHP John Gant to Gwinnett Braves. May 18, 2016 Atlanta Braves recalled John Gant from Gwinnett Braves. May 2, 2016 Atlanta Braves optioned RHP John Gant to Gwinnett Braves. April 27, 2016 Atlanta Braves recalled John Gant from Gwinnett Braves. April 10, 2016 Atlanta Braves optioned RHP John Gant to Gwinnett Braves. November 19, 2015 Atlanta Braves selected the contract of John Gant from Mississippi Braves. July 25, 2015 RHP John Gant assigned to Mississippi Braves. July 24, 2015 New York Mets traded RHP John Gant and RHP Rob Whalen to Atlanta Braves for 3B Juan Uribe, LF Kelly Johnson and cash. July 5, 2015 RHP John Gant assigned to Binghamton Mets from St. Lucie Mets. May 28, 2015 RHP John Gant assigned to St. Lucie Mets from Binghamton Mets. April 2, 2015 RHP John Gant assigned to Binghamton Mets from Savannah Sand Gnats. March 30, 2014 RHP John Gant assigned to Savannah Sand Gnats from Brooklyn Cyclones. April 3, 2013 RHP John Gant assigned to Brooklyn Cyclones from Savannah Sand Gnats. August 31, 2012 John Gant assigned to Savannah Sand Gnats from Kingsport Mets. June 1, 2012 John Gant assigned to Kingsport Mets. August 6, 2011 RHP John Gant assigned to GCL Mets from New York Mets. August 5, 2011 New York Mets signed RHP John Gant.